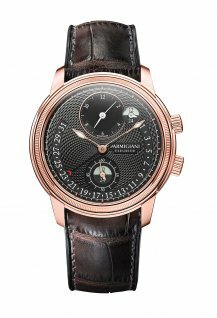 Parmigiani Fleurier presents a new version of the Toric Hémisphères Rétrograde with a slate-coloured dial, hand-decorated with a guilloché motif. It was a restored piece that inspired Parmigiani Fleurier to add the GMT complication to its collection. 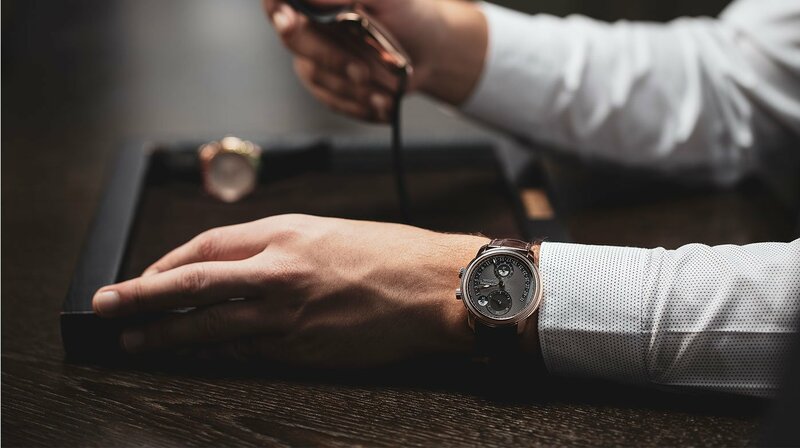 Parmigiani Fleurier's restoration workshops had been entrusted with a pocket watch containing two movements inside one case, each responsible for its own time zone. This sparked a desire to create a timepiece that incorporated the same accuracy of display in the reduced space of a watch case too small to house two separate movements. 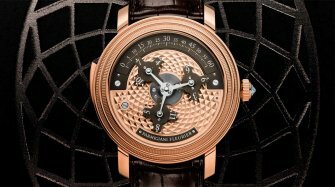 Michel Parmigiani found a solution to this limitation by constructing a single calibre that controls two time zones, each accurate to the nearest minute. 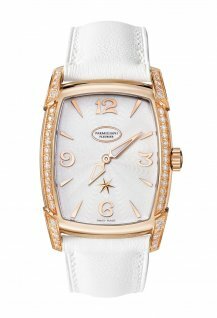 The Tonda Hémisphères released by Parmigiani Fleurier in 2010 was a world first. 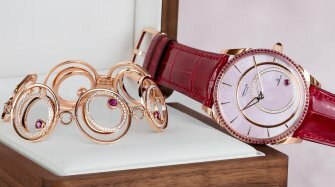 In 2017, the brand extended this movement to the Toric collection, its founding model, to add a dimension of travel to its timeless aesthetics. Hand guilloché is an artisanal technique in which the material is engraved to produce a repeating decorative pattern. The concentric pattern chosen evokes the arrangement of the scales on a pine cone – one of the examples of the Golden Ratio seen in the natural world. 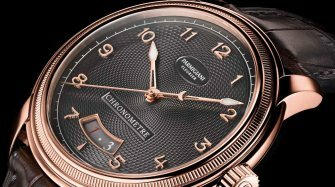 The guilloché decoration stops to leave room for the second time zone indicator at 12 o'clock, the main time zone day/night indicator at 6 o'clock and, finally, the semi-circle displaying the retrograde date which runs around the lower edge of the dial. 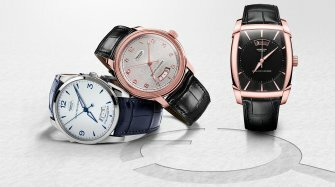 Despite the richness of the dial's display, the watch retains an air of sophistication thanks to its partial guilloché decoration. The Toric Hémisphères Rétrograde has two time zones, each accurate to the nearest minute. A module is indexed to the main movement in order to govern the second time zone. By pulling out the small crown at 2 o'clock, the module is disengaged from the movement, meaning that the second time zone can be adjusted independently, to the nearest minute. When the crown is pressed back in, the movement and the module re-engage and the second time zone is re-indexed to the first so that they operate simultaneously with the desired interval. The main crown at 4 o'clock is used to wind the movement and set the time of the two paired time zones, and the date. Each of the time zones is associated with a window, which provides the day/night indication so that the time of day can be read in an instant for each time zone. The calibre PF317 also features an instant retrograde calendar, indicated by the third central hand. As it moves towards the last days of the month, the hand activates a spring which drives it back to number 1 with great force. This 240° movement is so fast that it cannot be seen with the naked eye. 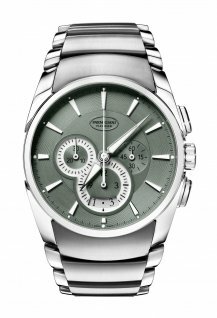 This self-winding movement has a double series-mounted barrel with a power reserve of 50 hours.